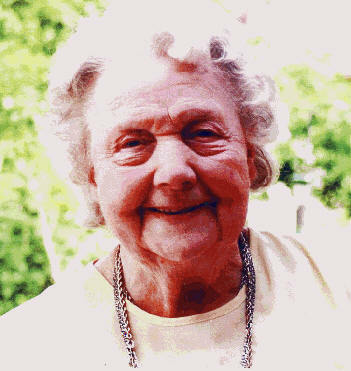 Born on 11th November 1918, the last day of the first world war and brought up in Manchester she attended the Acacias Primary school followed by Levenshulme High School for Girls. Both schools still exist to this day. To quote my aunt Sybil who attended the same schools and now aged 94 lives in St. Annes "She was good at everything, exams, sport, music and drama". Brought up in a staunch Methodist household, she had an older sister Evelyn who died a few years ago aged 90 and a younger sister Muriel who died aged 4 of diphtheria. She met my father at Cromwell Grove Methodist Church, Levenshulme when his father Rev Stanley King Chesworth became minister there. Their courtship began when she was 16 and he was 17. Only yesterday (7th March 2018) whilst sorting through some of Mum’s old papers I came across a moving poem he had written for her when she was 17. On leaving school she worked for several years at the Refuge Assurance Company head office in Manchester. Their courtship was a long one, students at Hartley Victoria College were forbidden to marry before completing their studies, then the war started. My father was an army padre stationed in Belgium and France, my mother a corporal in the ATS. 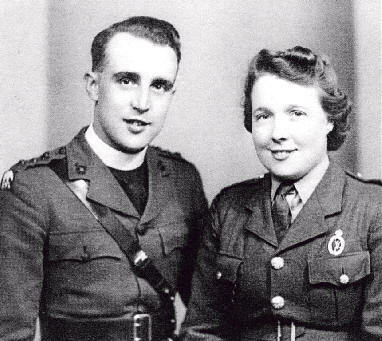 They married as the war was coming to an end in April 1945. So began her life as a Methodist minister’s wife, a role she took very seriously. Starting with 5 years in Mirfield near Dewsbury, then moving to Leyland for 5 years, on to St. Annes for 7 years, Fulwood for 11 years and then a further 5 at Wigan, and 4 at Brinscall. She took a very active part in all the churches, chairing meetings local and national, organizing and hosting events, she played the piano at services, sang at functions and fed countless young people at various manses. In retirement she spent a very happy 25 years up in Brampton, Cumbria where she enjoyed the relative tranquility of the local country church at Corby Hill. She read the Methodist Recorder every week from cover to cover. The wider family all met together on Saturday 11th November 2017 for a grand 99th birthday party with all the great-grandchildren. She had a marvellous time. Central to her life was a strong faith, a belief in the good people have within them and a desire to help those in need. She could be determined but not stubborn, single minded but not blinkered. Their marriage lasted 63 years until my father’s death in 2008. Through thick and thin she remained a stalwart in my life and the lives of my father, my brothers and our families.